This weekend was our mostly-annual Ride For Pie, where we cycle out of town to buy the best apple pies in the world. 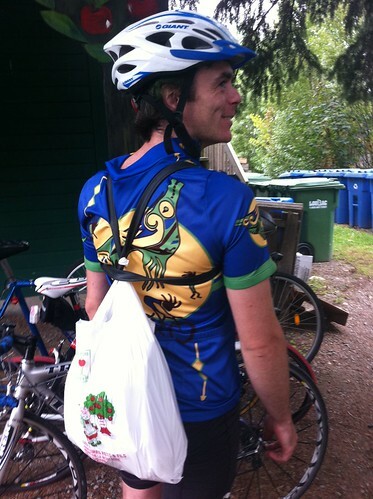 I forgot my bag on this year’s ride… so I invented a pie sling using a bicycle inner tube. The pies survived admirably.